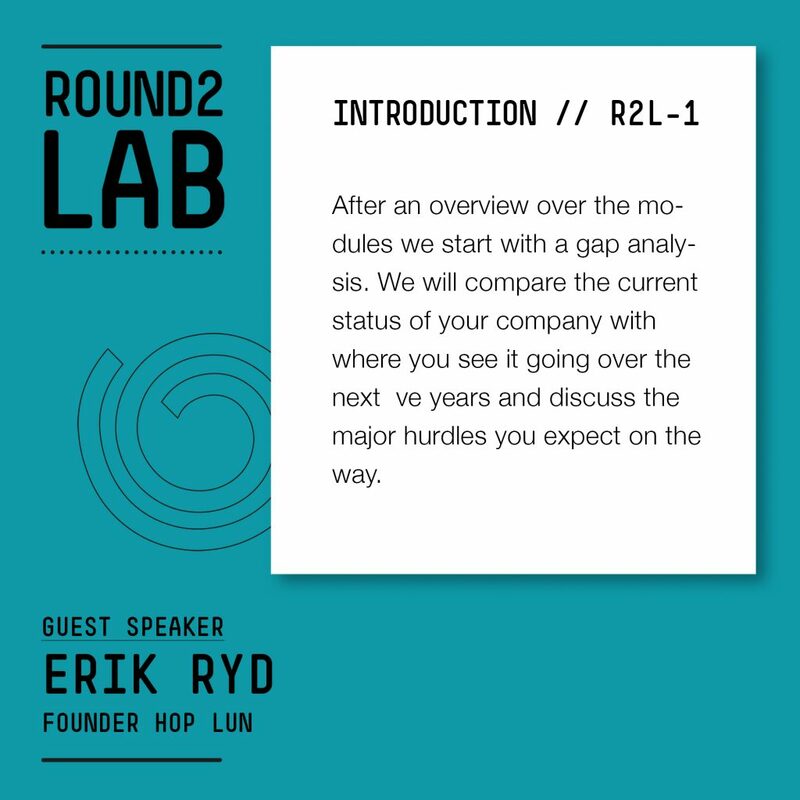 Round2Lab is a program designed to help entrepreneurs take their business to the next level. The first edition started on 20th of October 2017 and consisted of five two-day modules running every four to six weeks until the end of Q1 2018. Participants left the program with a three to five year plan that provides the road map for sustained growth. The program was held in Vienna, Austria, primarily in German. Work sessions were highly interactive and offered participants ample opportunity to network with international subject-matter experts, successful entrepreneurs, media and other relevant stakeholders. The primary focus of the program was on people, strategy, execution and finance, and the deliverable is a concrete plan and a road map to future growth. Business owners who already have an established customer base, regular monthly revenues, a number of employees and are aiming for a significant expansion in the form of internationalization, growing their customer base, adding new sources of revenue and new sales and distribution channels, and greater brand recognition. The program will consist of ten full day modules including a Demo day where you will present your roadmap for growth in front of a judging panel. In a dynamic and non-traditional classroom setting you have a unique opportunity join with other business owners from different sectors and backgrounds that will share business management experiences. The modules will be held mostly in German, some will be held in English. The tuition for the course of EUR 1,500. You will have no extra costs for the course, as Round2Lab and our sponsors will provide you with your essential reading materials. Round2Lab will give entrepreneurs tools to define a scale-up plan for their companies. They will learn from experienced experts and from each other in a very informal setting. Most importantly, it will give them time off from their daily business to think about strategy and the future of their companies! After an overview over the modules we start with a gap analysis. We will compare the current status of your company with where you see it going over the next five years and discuss the major hurdles you expect on the way. 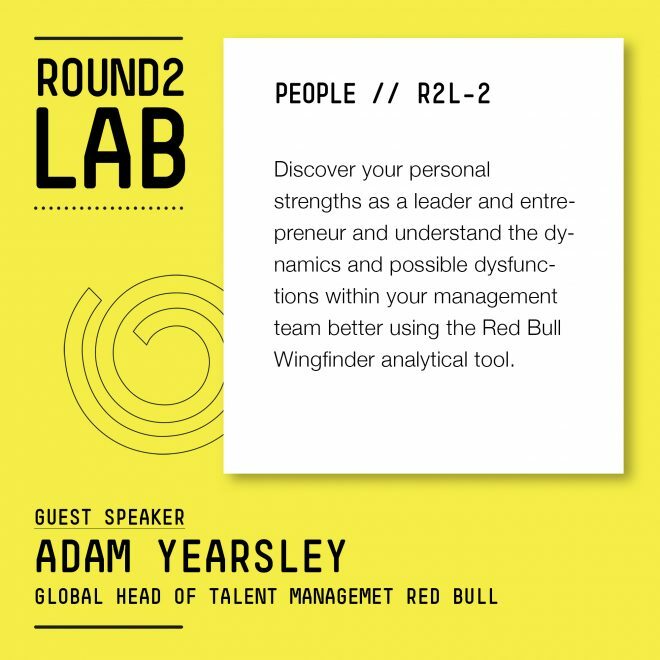 Discover your personal strengths as a leader and entrepreneur and understand the dynamics and possible dysfunctions within your management team better using the Red Bull Wingfinder analytical tool. 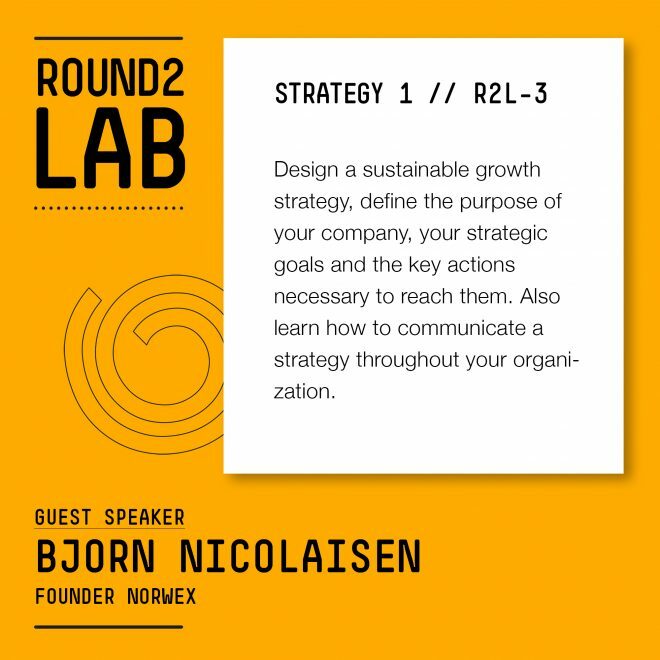 Design a sustainable growth strategy, define the purpose of your company, your strategic goals and the key actions necessary to reach them. Also learn how to communicate a strategy throughout your organization. 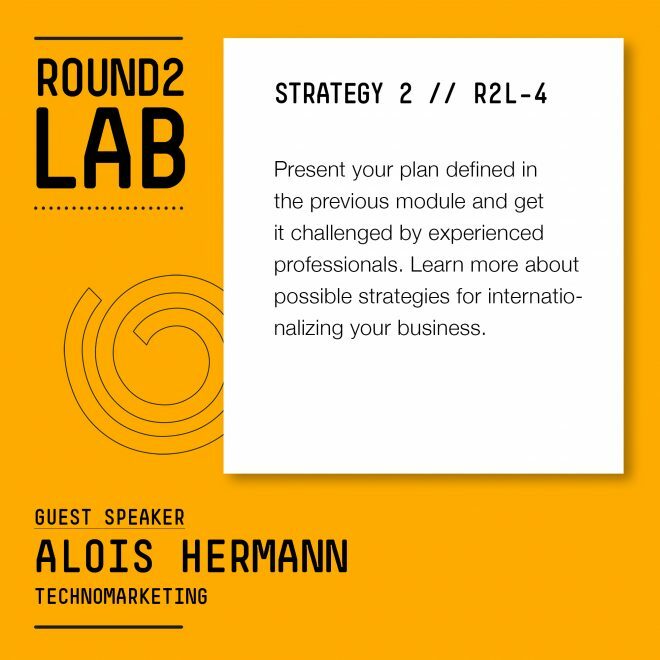 Present your plan defined in the previous module and get it challenged by experienced professionals. Learn more about possible strategies for internationalizing your business. In this module we focus on how to achieve disciplined execution inspired by Rockefeller Habits and further how to manage your priorities and resources as well as monitoring your performance. Practitioners of sales and marketing talk about setting up sales channels: Discover the key challenges for scaling up your sales and marketing organization and learn from the experiences of entrepreneurs who did it! 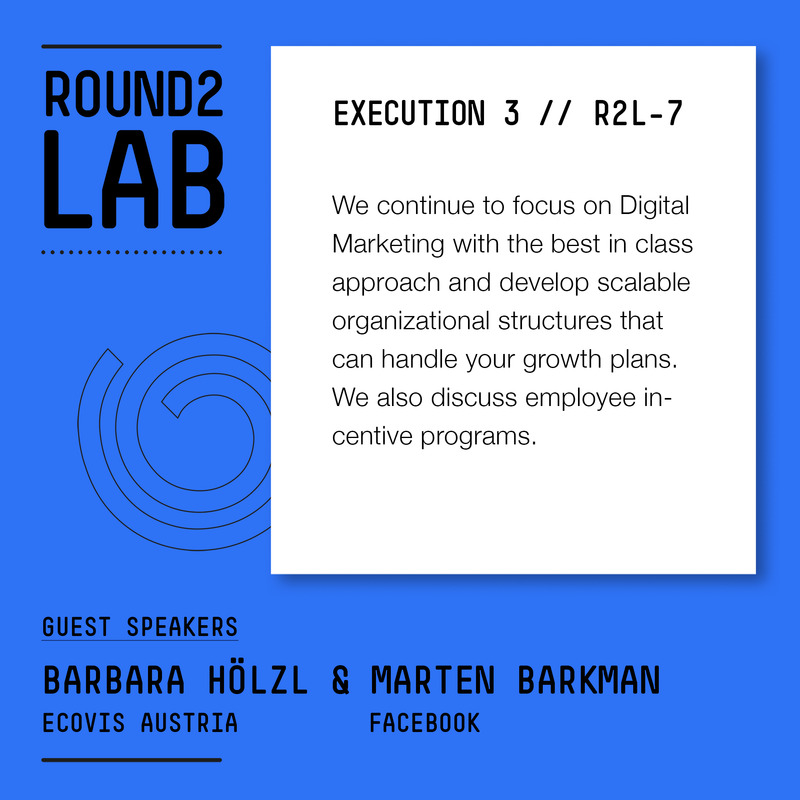 We continue to focus on Digital Marketing with the best in class approach and develop scalable organizational structures that can handle your growth plans. We also discuss employee incentive programs. Discover your internal sources of cash: learn how to optimize your cash flows as an important internal source for financing growth and how to measure it with important KPIs. 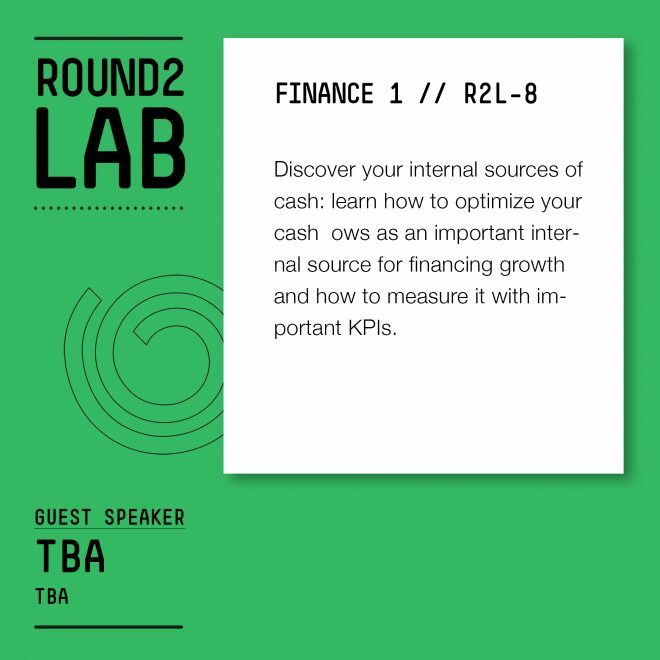 Discover the various possible external sources of funding and understand which source fits your priorities and lifecycle stage of your business best. 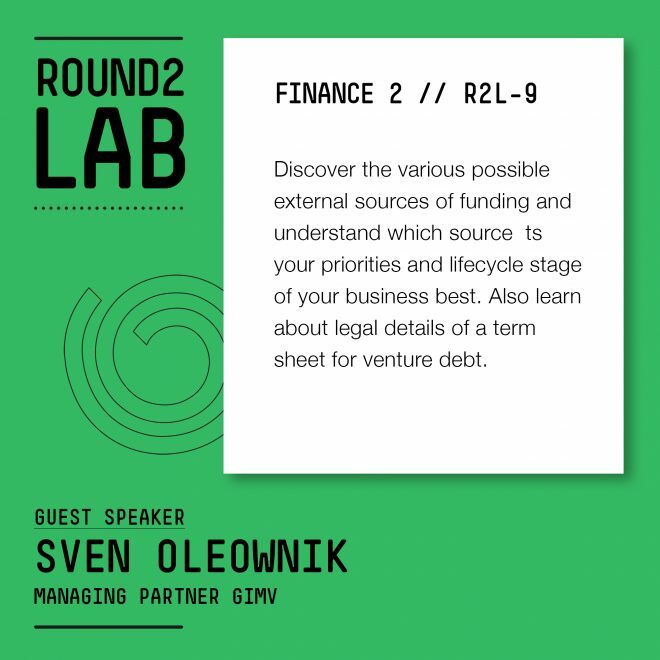 Also learn about legal details of a term sheet for venture debt. Grand Finale! 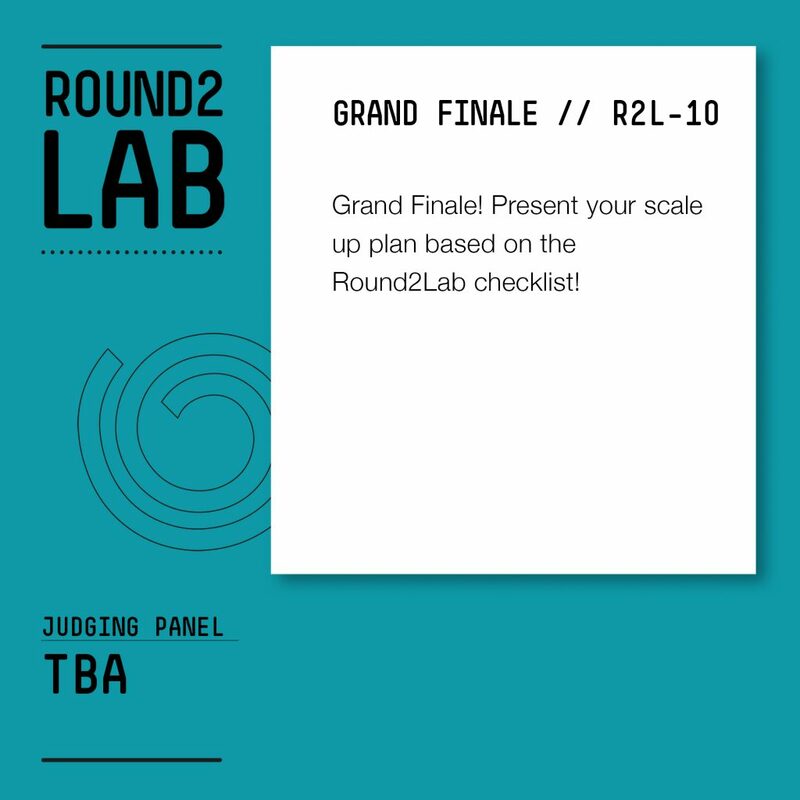 Present your scale up plan based on the Round2Lab checklist!